a few seconds where you stop beating yourself up and smile, even just for a second. Who is wittier than the famous Irishman Oscar Wilde? 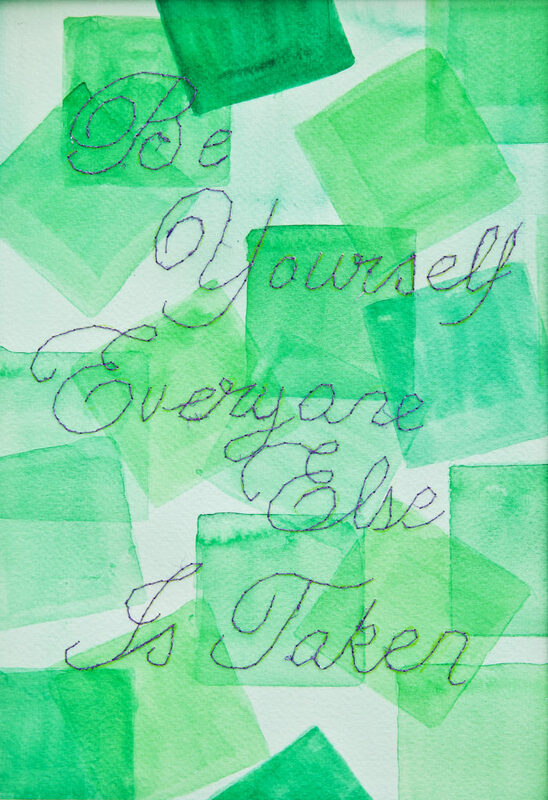 Within all his wonderful quotes lie a few real gems and for me this is one - be yourself, everyone else is taken! Inspirational quote designed for a teenagers bedroom, In a world of horses, be a unicorn. Watercolour on Fabriano 300gsm paper with hand embroidered lettering. 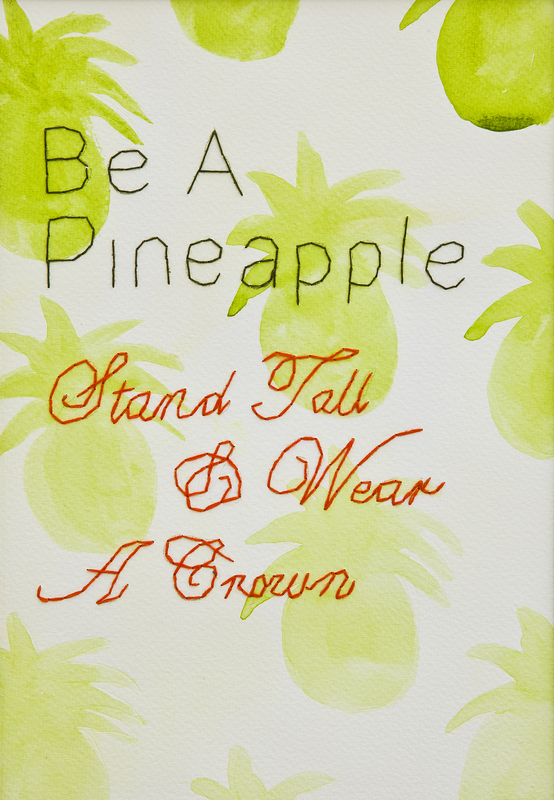 Funny but so true, we could all learn a little something from the pineapples by standing tall and wearing our crowns. 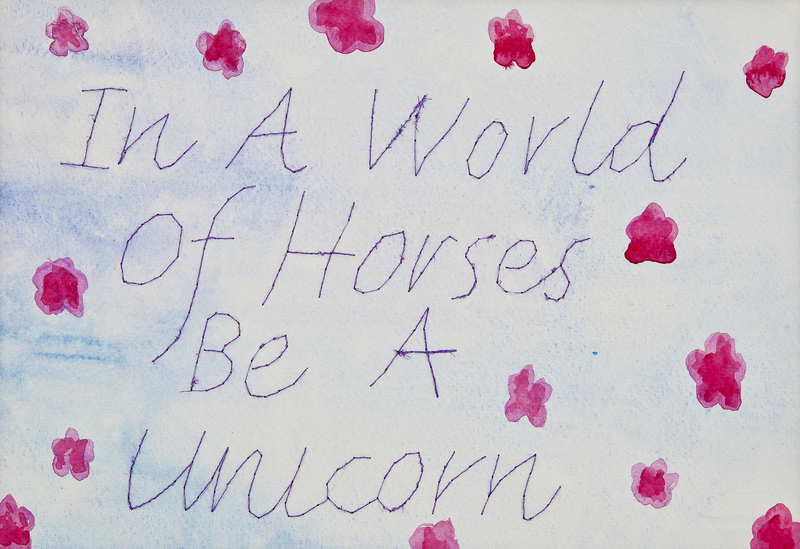 Watercolour on Fabriano 300gsm paper with hand embroidered lettering.